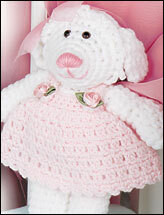 Wrap your precious one in soft, crocheted baby bunnies! You will not be able to resist these 2 adorable baby blankets. 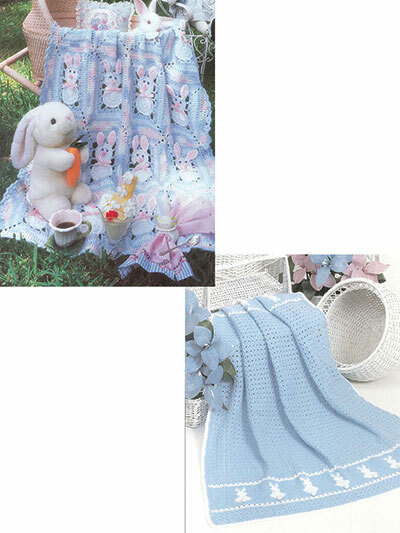 Bunnies on Parade is made using motifs stitched together and Baby Bunny includes a color change. Includes written and graphed instructions (ability to follow a graph is necessary for this pattern). Finished Sizes: Bunnies on Parade: 26 1/2" x 36". Baby Bunny: 33" x 39 1/2". Made with super fine (sock) weight yarn and sizes E/4/3.5mm ad F/5/3.75mm hooks.